A Florida real estate broker is generally the next career step for a real estate sales associate. Obtaining one’s real estate broker license in Florida permits an individual to work for him- or herself and/or hire and supervise other real estate sales associates. Because a real estate broker can usually choose to either keep all of his or her commissions for him- or herself (if he or she works alone) or split commissions with any real estate sales associates underneath the broker and because of the heightened responsibilities that real estate brokers possess, the licensing requirements for real estate brokers administered by the Department of Business and Professional Regulation, Division of Real Estate are more burdensome than those for real estate sales associates. If the Division of Real Estate has denied your application for a broker’s license or has indicated it will not renew your license, it is time to call a Tampa real estate broker license lawyer at the Law Offices of David P. Rankin, P.A. The broker has engaged in misconduct or unethical behavior, especially if such allegations have been investigated and substantiated. A broker who continues his or her practice and profession without a valid license risks serious sanctions that could prevent him or her from ever receiving a real estate broker’s license again. The strategy and plan necessary to resolve your real estate broker’s license issue will depend in large part on the nature of the problem. Where the Division of Real Estate believes you do not meet the requirements to obtain or renew your license, informal discussions with the Department’s attorneys and the delivery of supporting documentation may resolve the matter. In other situations (such as cases in which misconduct is alleged), you may need legal representation and counsel as you proceed through the disciplinary process. In either event, the Tampa-area Law Offices of David P. Rankin, P.A. are skilled and experienced in assisting with professional licensing issues and disciplinary proceedings. Why Choose the Law Offices of David P. Rankin, P.A. 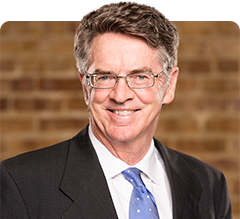 Attorney David P. Rankin has spent over three decades practicing in the realm of professional licensing disputes and disciplinary proceedings. Attorney David P. Rankin began by working on behalf of the Department of Business and Professional Regulation prior to turning his attention to helping those experiencing difficulties in obtaining and/or maintaining their license. Our firm aims to provide prompt and professional relief to our real estate broker clients so they may in turn resume their business. Contact a Tampa real estate broker license lawyer at the Law Offices of David P. Rankin, P.A. by calling (813) 968-6633, or contact us online for assistance with your real estate broker’s licensing matter today.